The Cape Sounio Grecotel Resort opened in 2004, a most unique resort at one of the world’s most celebrated archaeological sites, Cape Sounio. In keeping with the natural landscape and overlooking the cliffs, it is set amphitheatrically on a 20-acre estate on the edge of Sounio National Park, amid a 380-acre pine-filled forest. It offers total relaxation and pampering, incredibly beautiful views, and first-class service and amenities. Everything you need is within its doors … gourmet restaurants, health spa, tennis courts, indoor and outdoor pools, private sandy beaches, and so much more. Accommodatoin ranges from bungalow style junior and senior suites with garden or sea view to Deluxe Bungalows with private pool. All bungalow amenities include color television with satellite channels, CD/DVD player; direct-dial telephone; automatic wake-up call; Wi-Fi Internet; personal control air conditioning & heating; mini bar, electronic safe box; and private bath with hairdryer, shaver outlet, magnifying mirror, bathrobes, slippers, beach & pool towels and deluxe toiletries. Terraces include sunbeds. The resorts villas have garden or sea view and come with or without private pool, and the Deluxe Villas and Dream Villas have their own private pools and gorgeous sea views. The Royal Hill Villas are situated in a prominent position within the resort so as to afford the best views from their private pools. 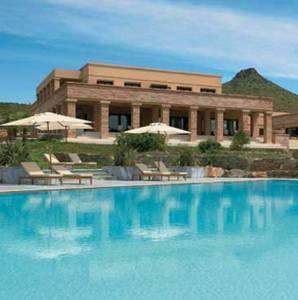 The Cape Sounio Estate represents the pinnacle of luxury and privacy within the resort. With 350 sq. meters of interior residential space divided among six detached villas, with three swimming pools, and set amidst 5000 sq. meters of landscaped grounds, this is a compound fit for a king. It includes the Master Bedroom Villa, the Children's Suite Villa, the Dining Room Villa exclusively for meals and entertainment and including a kitchen and staff quarters, and the Guest House Villa with its own pool. 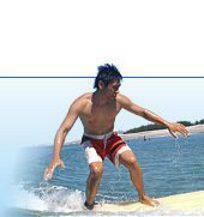 The estate is designed to accommodate up to 8 persons. The resort's facilities include five distinct dining venues. The main restaurant offers breakfast and dinner, with a Mediterranean menu; the Cavo Kolones features cliffside dining on Cretan dishes with organically-grown products; Asian Fusion cuisine in the main building near the lobby; the Aegean Grill poolside for light lunches; and the Yali beachside restaurant for drinks and light snacks. The Lounge Bar offers indoor and outdoor seating for drinks served along with the view. Other facilities of the resort include an outdoor seawater swimming pool; an indoor Thalassotherapy heated pool; a fantastic Spa and Fitness Center; a Tennis Club with three courts; and a full program for kids with a children's pool, mini club and tennis lessons. A conference center is situated in the main building and houses numerous meeting and function rooms. Special Notes: Due to the layout of the complex, the hotel is not suitable for guests with mobility impairments. Additionally, pets are not permitted. The resort is situated 38 kilometers (23.6 miles) from the Athens International Airport, and 67 kilometers (41.6 miles) from the center of Athens.